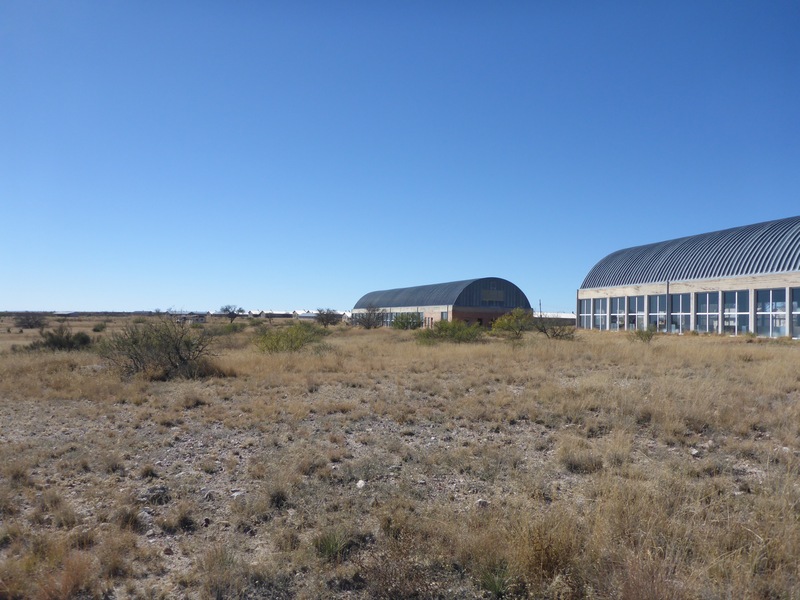 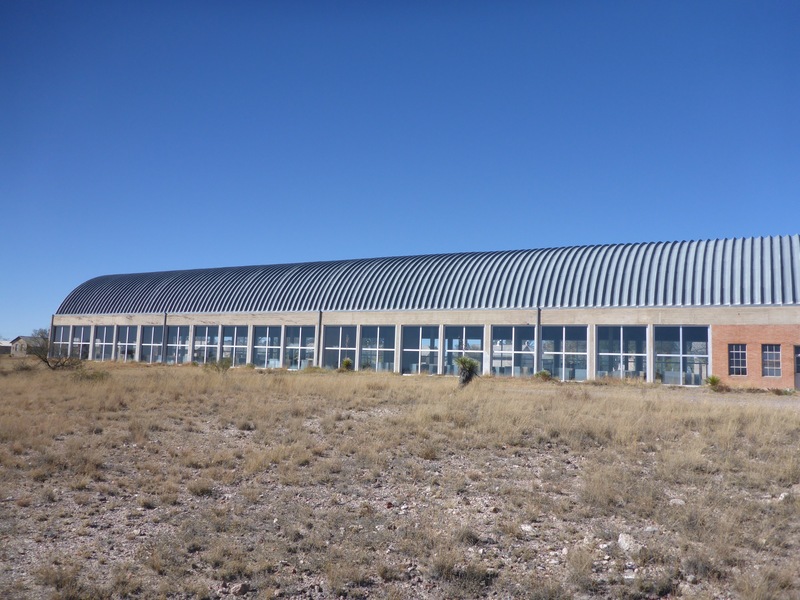 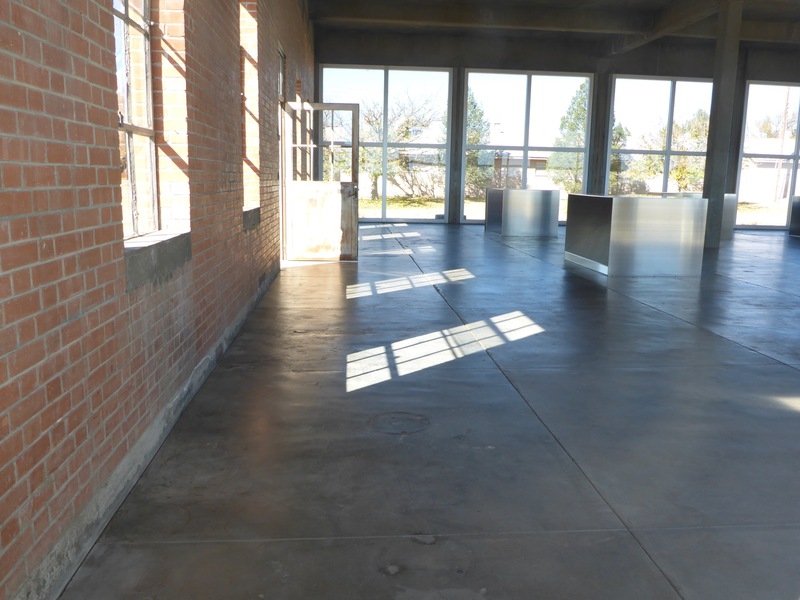 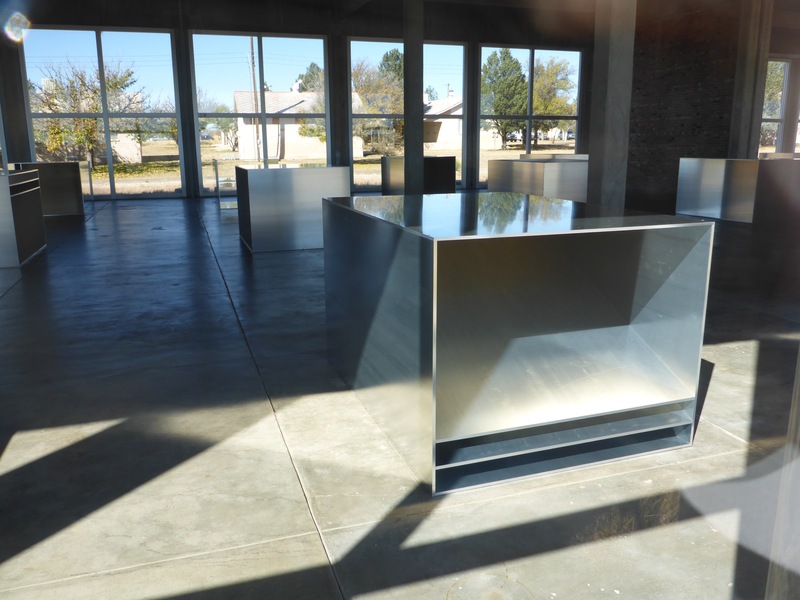 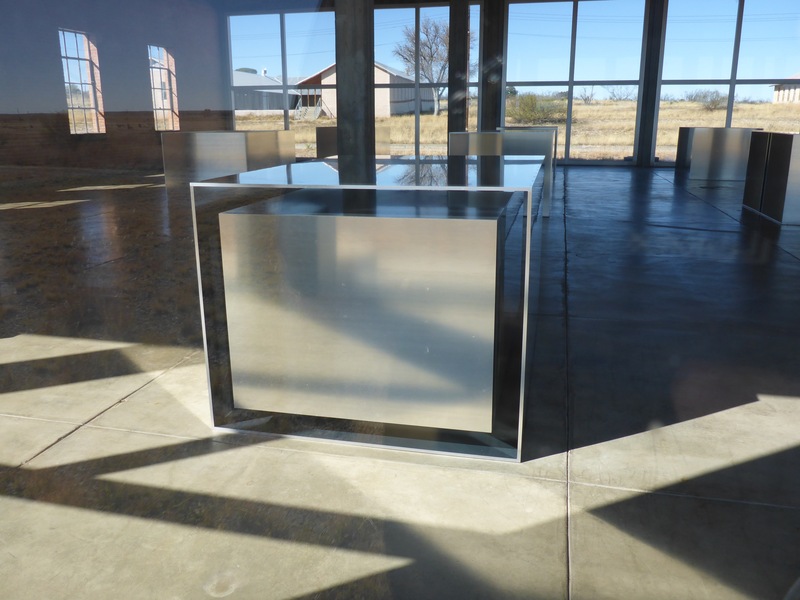 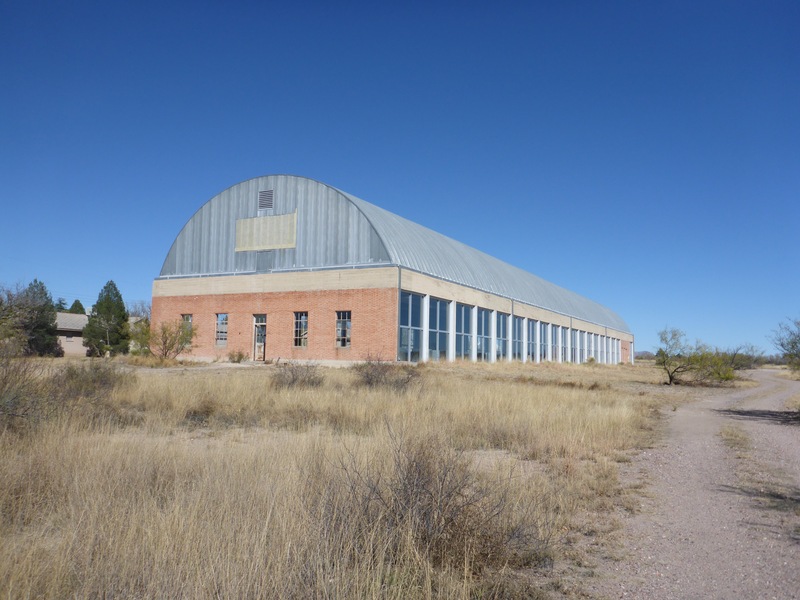 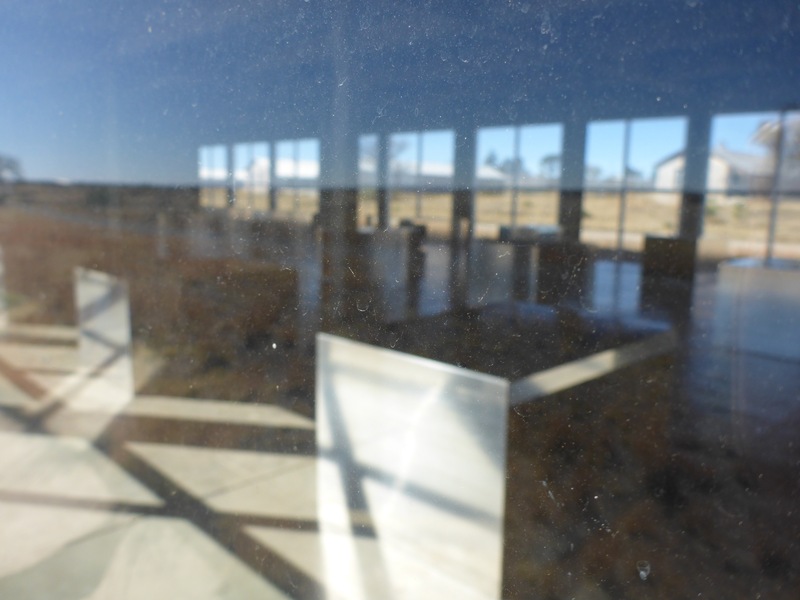 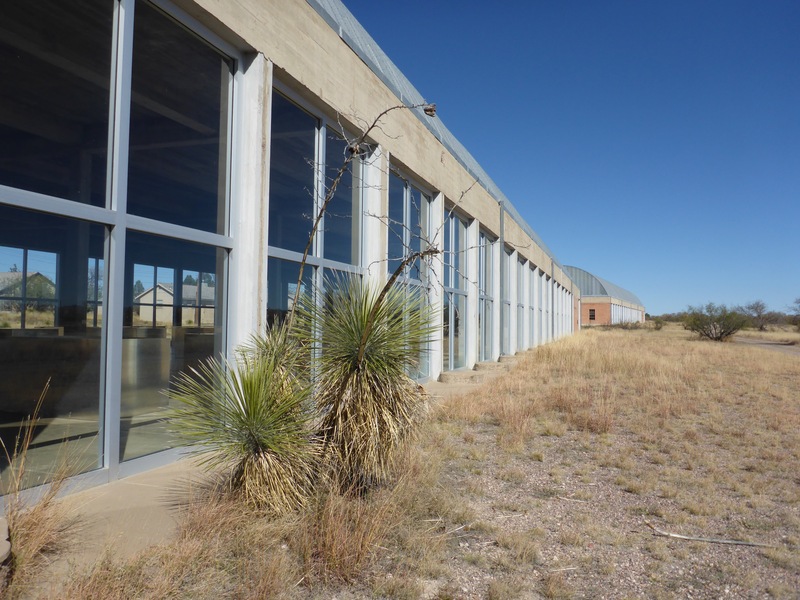 The exhibit called “100 untitled works in mill aluminum” by Donald Judd can be discovered at The Chinati Foundation just outside of downtown Marfa. 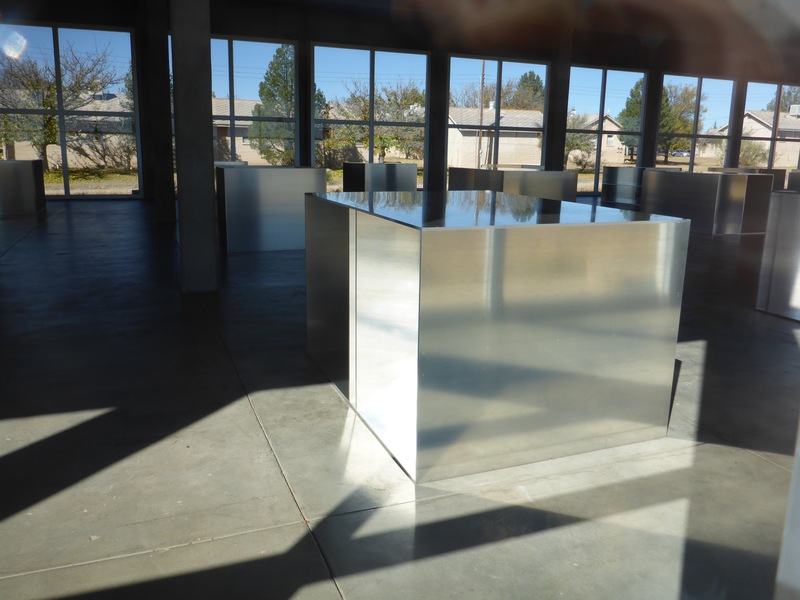 These aluminum pieces are housed in two former artillery sheds which are awesome in their own rights. 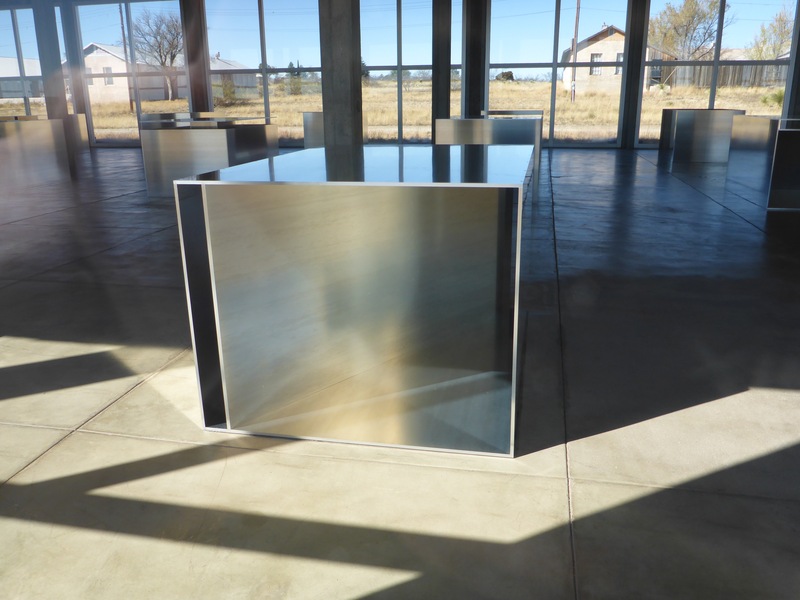 As per the website, “Each of the 100 works has the same outer dimensions (41 x 51 x 72 inches), although the interior is unique in every piece. 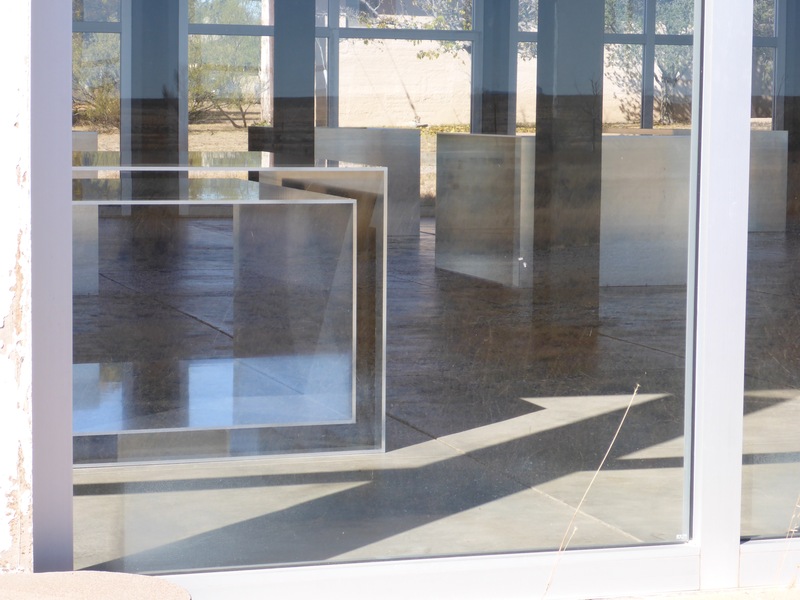 The Lippincott Company of Connecticut fabricated the works, which were installed over a four-year period from 1982 through 1986.” Unfortunately, they don’t allow photos inside the building, but I think the lighting and reflections from walking along the outside windows made for some nice shots. 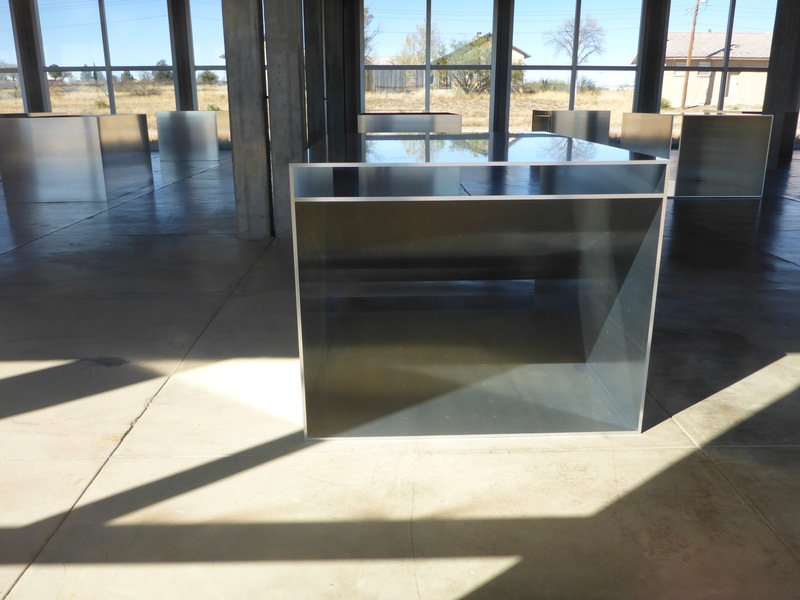 This entry was posted in Travel and tagged 100 untitled works in mill aluminum, Aluminum, Art, Artillery Sheds, Chinati, Donald Judd, Marfa, Photography, Texas, The Chinati Foundation, Travel, Windows.